Parker finished with 22 points (8-15 FG,1-3 3Pt, 5-7 FT), nine rebounds, four assists and a steal in 34 minutes during Wednesday's loss to Toronto. 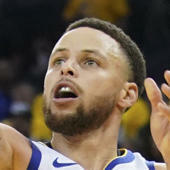 After failing to score Monday against Detroit, Parker found his stroke and topped 20 points for the second time in his stint with the Wizards. The fifth-year forward's showcased his all-around ability since being traded and is averaging 12.2 points, 7.5 rebounds, 5.2 assists and 1.3 steals over four games in Washington. He likely won't be able to continue distributing at such a high rate, but should be able to generate a bit more scoring power as he's being allotted an average of 26.7 minutes of run per night.